Health Warning: The UK Bond Market rigging issue is all behaviourally driven. We express a personal opinion in this post and do not endorse or condone breaking any jurisdiction’s sovereign laws. Take away any sensible incentive (by over regulating the market participants) and you create the disincentive for cheating behaviour to manifest. Simple. It is a natural competitive behaviour to ‘cheat’ or try to cheat a system that becomes ‘badly’ designed, as in the case of the highly over regulated bond market and an environment of very low yields. We find is amazing that the popular press only tend to focus on one side of the equation and distort the real issue and underlying drivers that lead tot cheating behaviour. 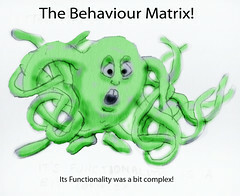 …and then we act surprised when market actors (participants) misbehave?